You are here: Home / Fun / Happy New Year! Bonne Année! 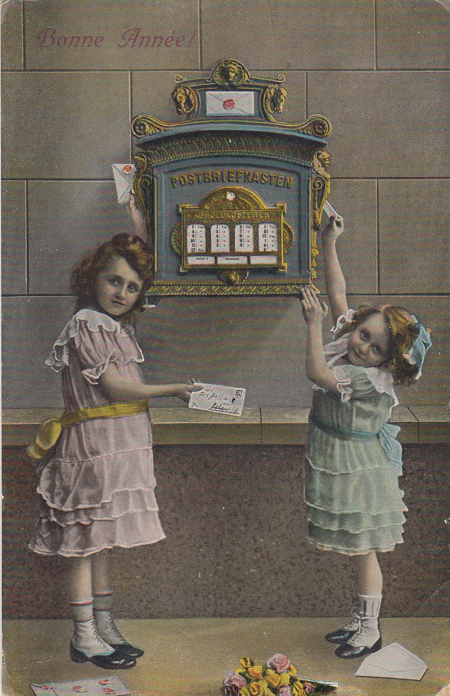 This is a vintage postcard is from 1910. A little different then the images we use to wish happy new years now a days, non? But the sentiment is still the same. Here’s to a fantastic 2016! Cheers! Happy New Year to you and your family!!! by the way love the postcard! !